Beautiful food! 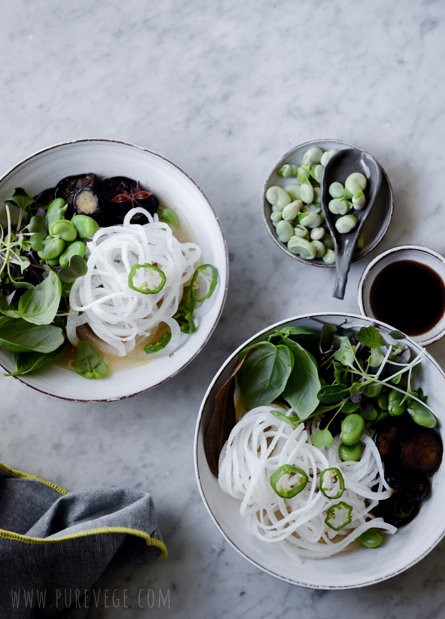 This healthy dish is so prettily presented and mouthwatering. Each and every post of yours is so precious, Lakshmi! I always come away richer for having read it :) Wishing you a very speedy clean-up and looking forward to their next post. Each one of your visits is precious, Bina! Daikon is such a nice, mild tasting radish. 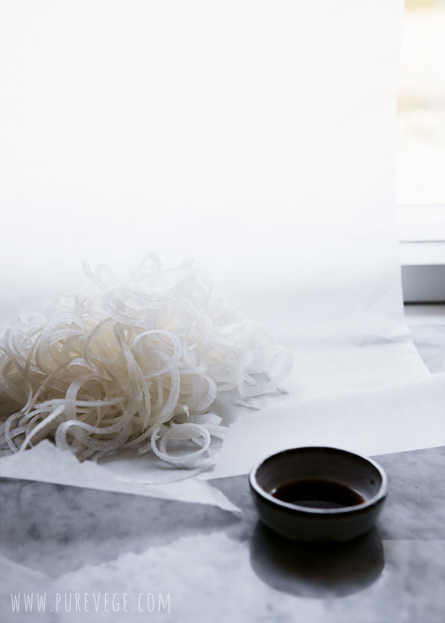 The texture is perfect for noodles. I recently bought a spiralizer, which turns out to be a great tool in the kitchen. I’m making vegetable pasta every week with it and it’s a lot of fun! I recommend it, although I’m generally not fond of gazettes. This looks so lovely, fresh and delicious! I saw it and and Made way to read it. First of all happy cleaning from a patient of obsessive compulsive disorder. Sometimes I dream have no dusting to do...but I guess I am addicted to this job. Hoping all the soot goes away. 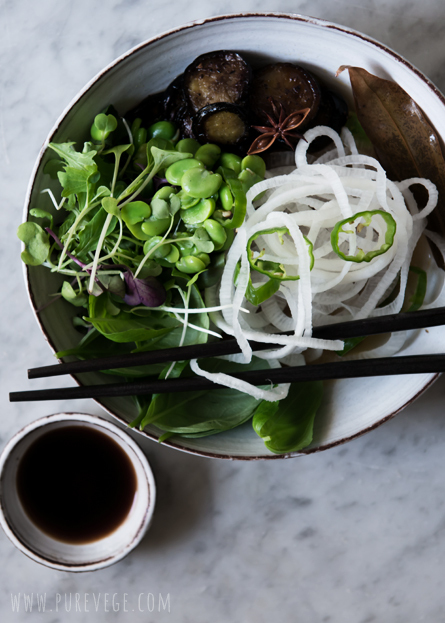 I love the use of Daikon to mimic a noodle very organic and healthy. I do have one question that if I am not wrong would Daikon be the Indian Mooli...Then would it have a very peppery taste....I cook parathas out of it by draining the excess liquid. I'm suffering from the same disorder :-), but can't compete with dust and dirt invading the house in the countryside. Wood heating is really messy! Yes, daikon is mooli. I suppose there are several varieties of white radish. The ones we get here are slightly peppery - I would say very mild. 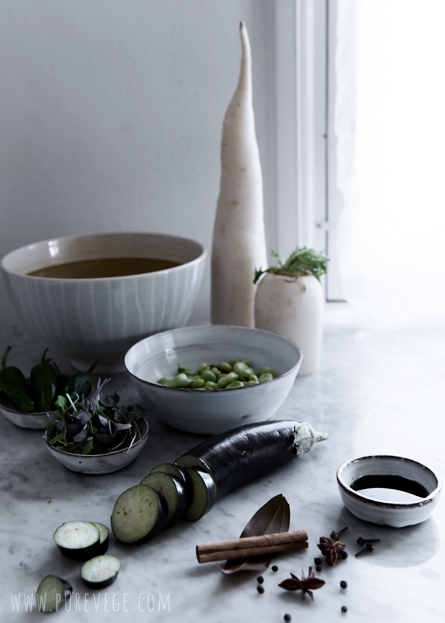 I find it a refreshing vegetable and like to use it also as a salad when cut julienne. OMG Lakshmi! I would have cried my heart out, I am border line OCD. Can't deal with mess very patiently. How are you managing with all the cleaning? Hope it's all done by now and hope you will be back with more such light broth! Summer is brutal out here, 40C and I need such light meal to keep going. Thanks, Kankana, I've managed to wash everything by now. What a job! I'll still have to paint the kitchen, but that's easy. This is a very unusual and interesting recipe for me. I'm glad I can cook it. I think that I like it. I'm just thinking about refusing from meat for a month and your recipes helps me to make a right decision! Great recipe though a bit complicated for me. Lakshmi, you make vegetarian healthy food to look even better than the common.